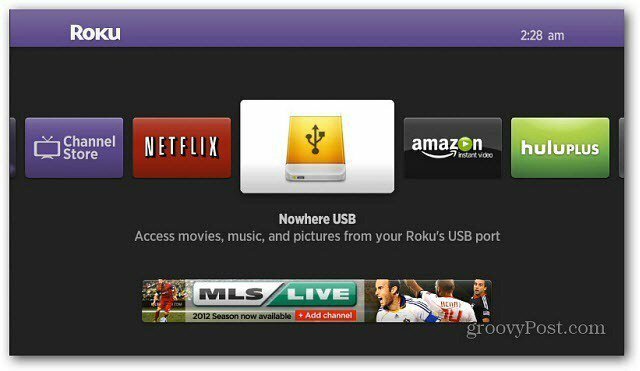 The Roku box is awesome for watching Internet streaming content, but did you know you can play videos, music and photos from an external USB drive? Here’s how to set it up. 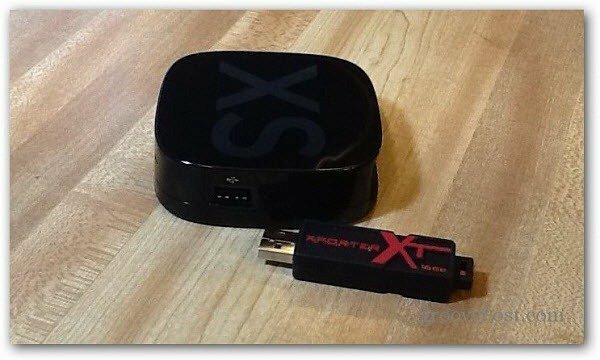 The Roku box is awesome for watching Internet streaming content, but did you know you can play local multimedia from an external USB drive? Here’s how to set it up. 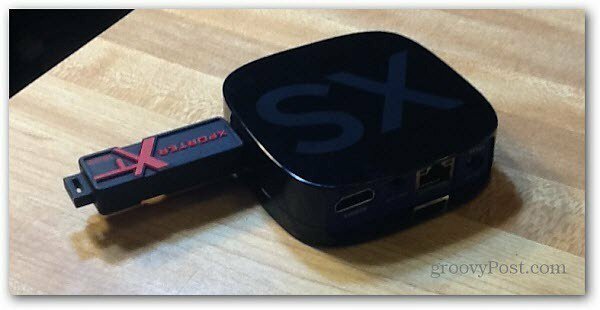 In this example I’m using the Roku 2 XS with a 16 GB USB thumb drive. You can do this with any new model of the Roku box that comes with a USB port. You can also add an external hard drive as well…handy if you have a large media collection. 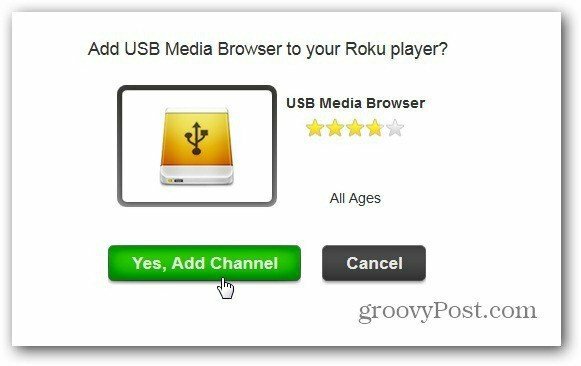 Next, add the USB Media Browser to your Roku box. 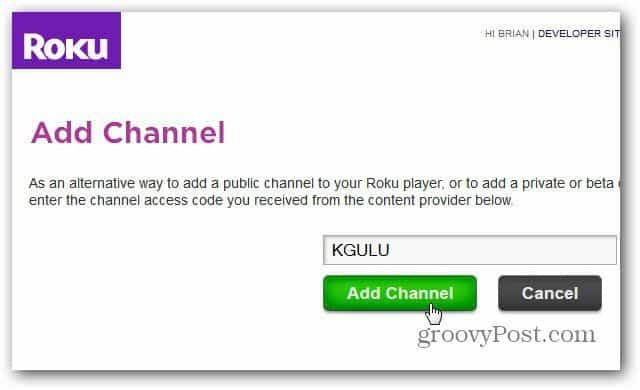 Log in to your Roku account on its website and click Yes, Add Channel. You’ll get the usual Channel added to lineup message. It tells you it can take up to 24 hours to add it, but in my experience, the channels are added within minutes. Alternately, add it like you would any hidden channel. Enter the code KGULU. 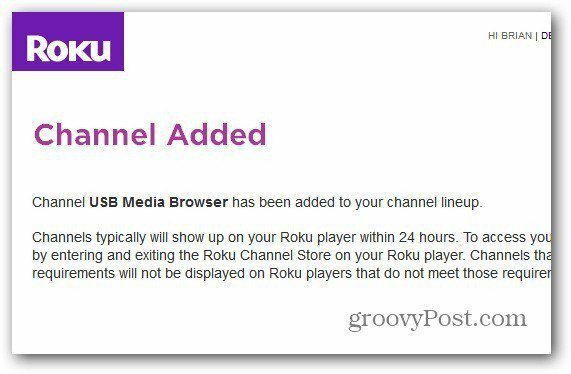 On your Roku, go to the Home Screen and you’ll see the USB Media Browser has been added. If you want easier access to the USB Media Browser app, move it in the line up. Here you can browse through video, music and photo folders that are on your USB drive. I loaded the drive up with several different media types. If it’s a file type not supported, you won’t see it in the browser. 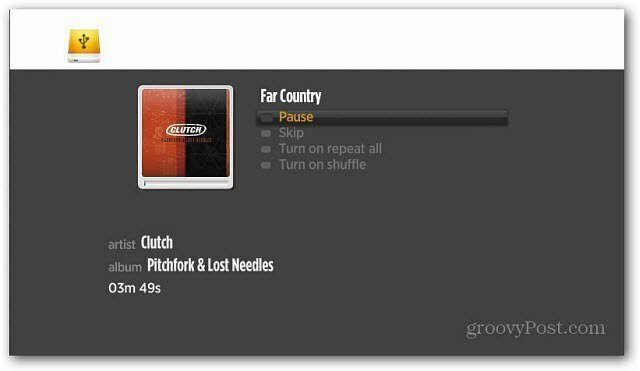 Browse to the media you want to view or listen to and start playing it. 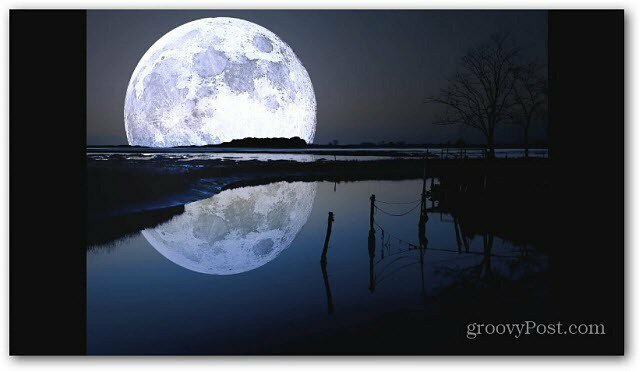 Pictures lets you start a slide show with music in the background too. Or here’s an example of listening to music from my USB drive on the Roku. 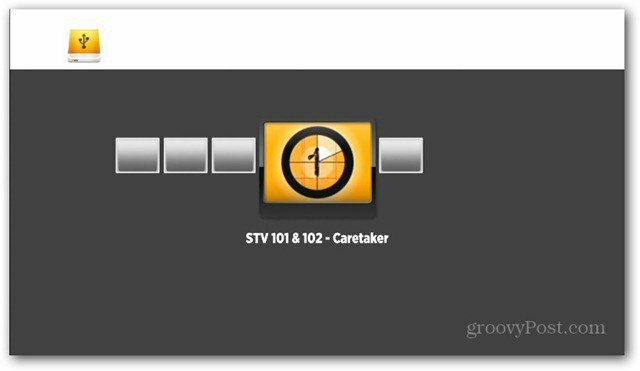 Use your remote for basic playback controls. Not every media file type is supported on the Roku though. I was able to play these. You’ll need to convert other types of media if you want to use them. I suggest the powerful and free media converter HandBrake. 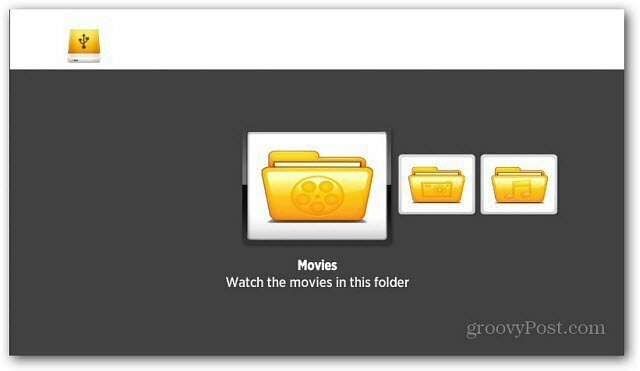 If you have home movies or specific media files you want to access that aren’t online – it’s easy to add and browse a USB drive. I am searching for a USB drive that shows TV programs. I am searching for a USB Drive TV with Drivers for my pc.